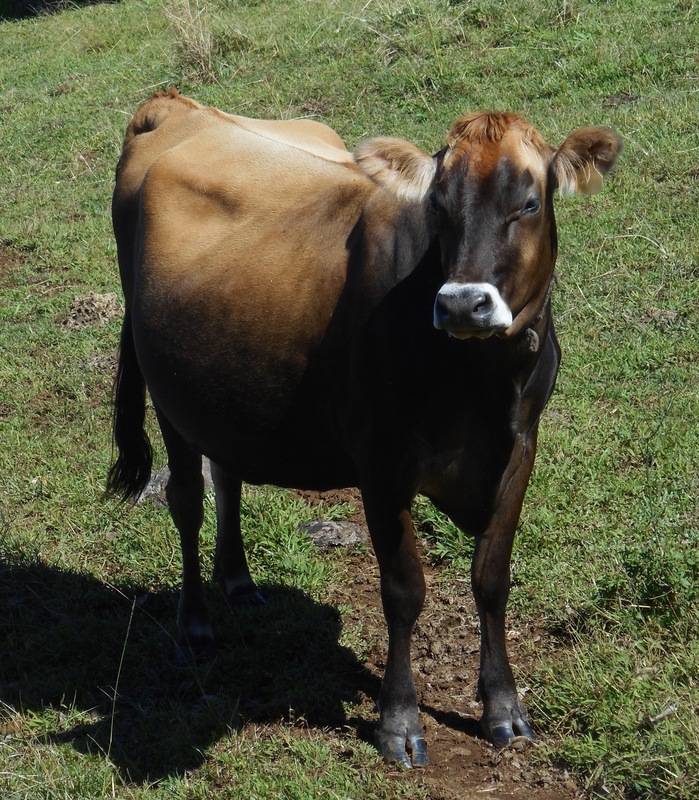 At Sunbonnet Farm, we strive to raise healthy and happy cows that are adapted to Hawaii's climate, and meet the needs of small family dairies. 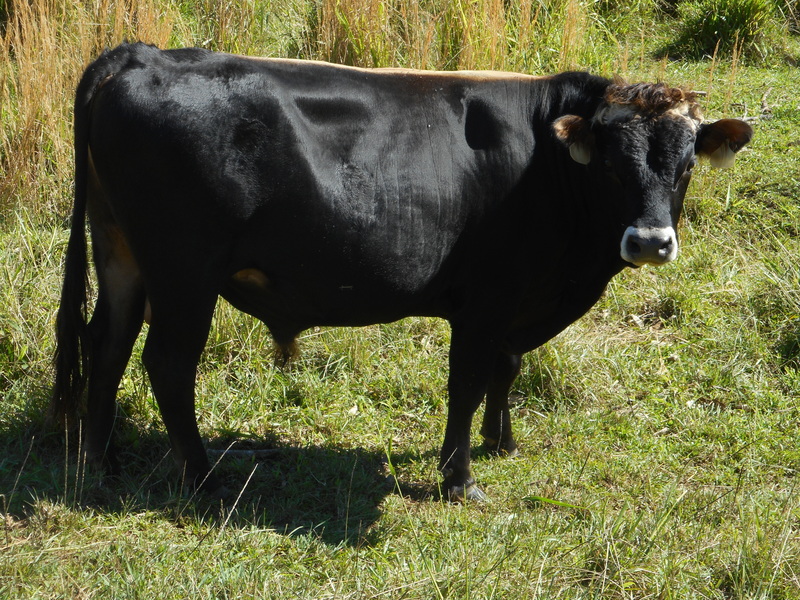 Our cows are pasture raised, with plenty of room to graze and play. They are not fed grain, and we do not use growth hormones. 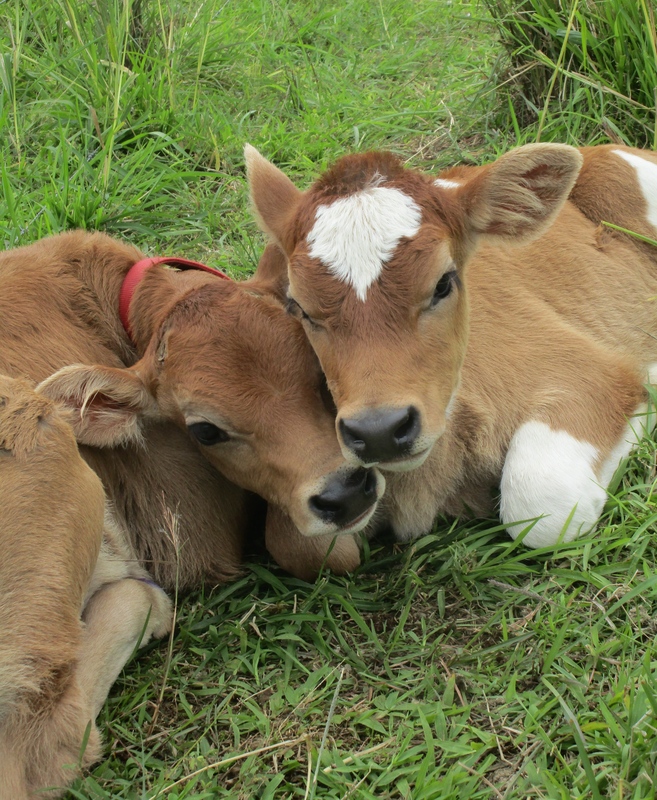 We treat our cows with kindness; we know them all individually, and each cow has a name. 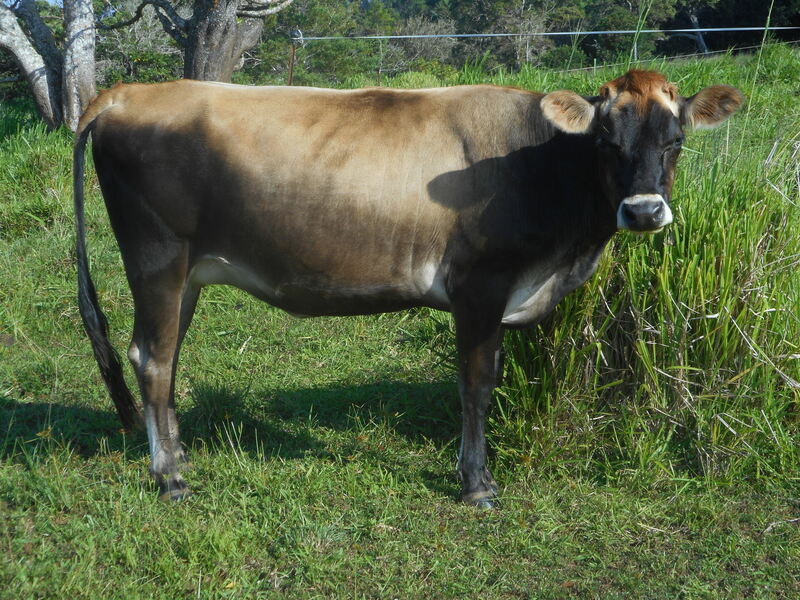 Our cows are a mix of Jersey, Brown Swiss, Normandy, and Black Angus. We find this mix to be hardy, long lived, and productive. We frequently offer cattle for sale. 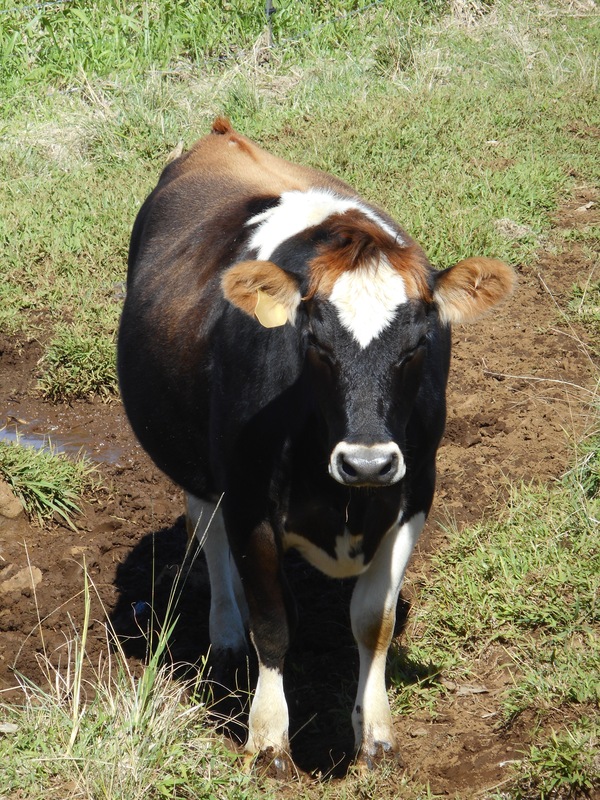 While bulls and bull calves are sold most often, we also sell trained milk cows and heifers. 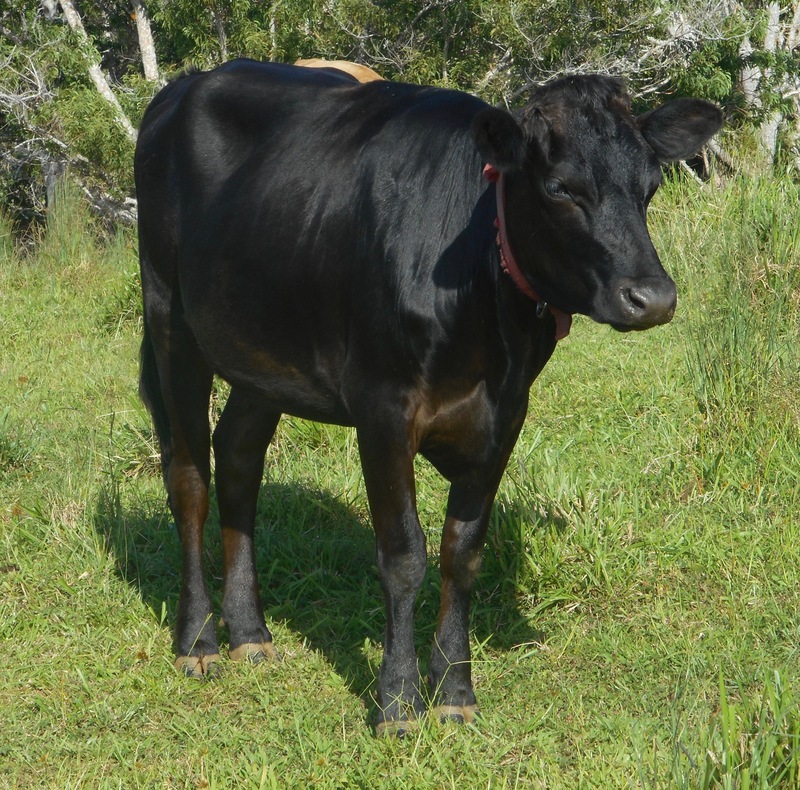 Visit our livestock forsale page to see available cows. Ami is our oldest cow- at least 20 years old. She is a calm leader and an excellent milk cow. Ami is now retired and enjoying her days watching her grandchildren, and great grandchildren grow up. 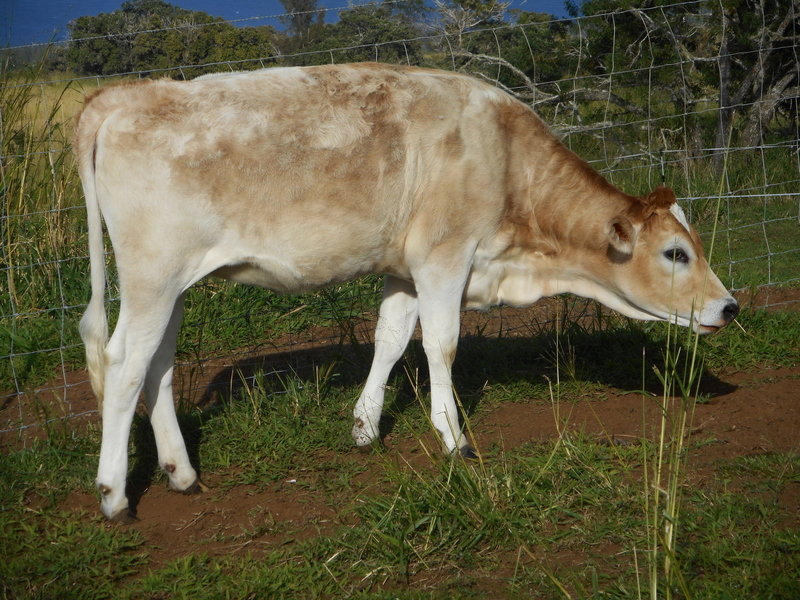 Darling is another one of our young milk cows. In this picture, Darling is feeding her bull calf from 2013, "Muffin". 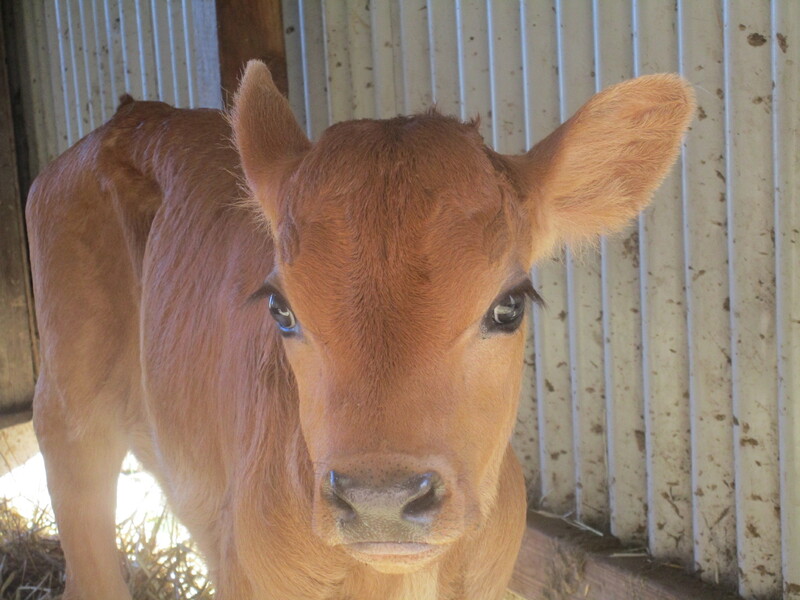 Darling is a good milk cow and she is very pretty. 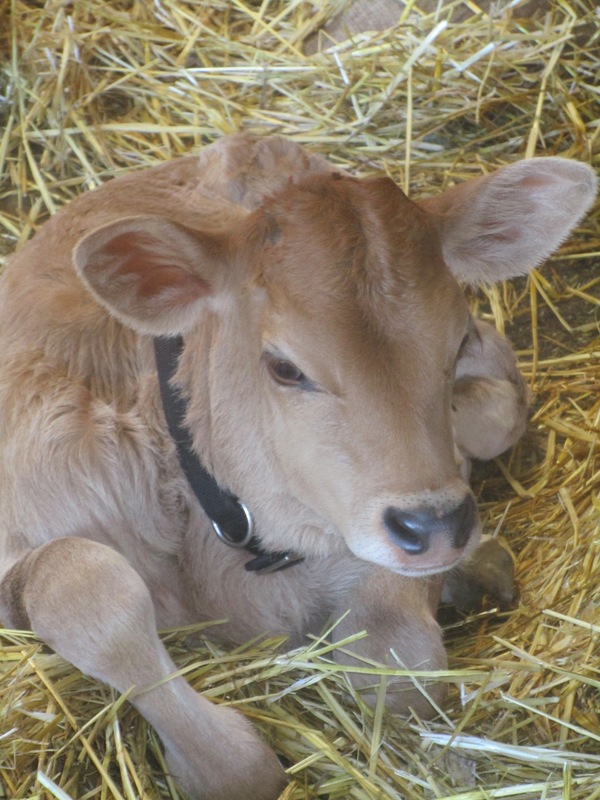 Maple is one of our top milk cows. 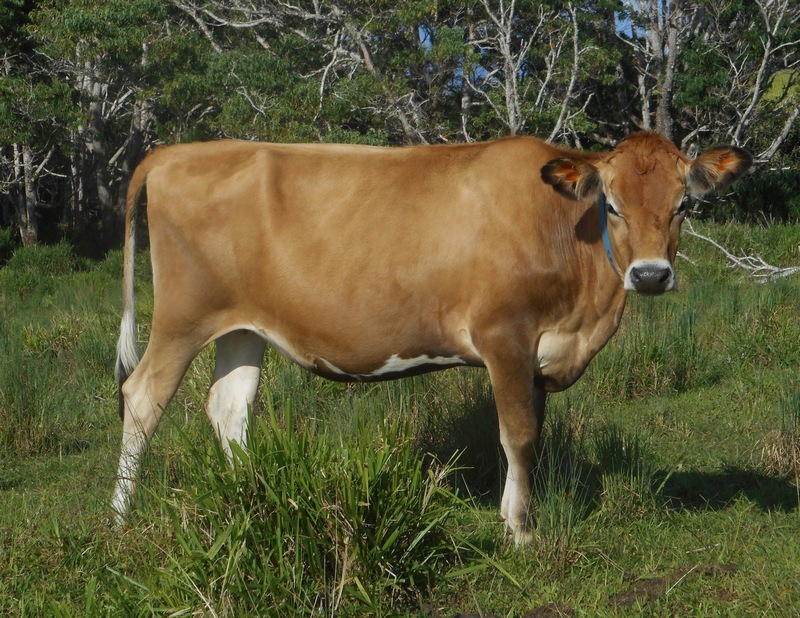 She has great milking qualities as well as a great temperament. 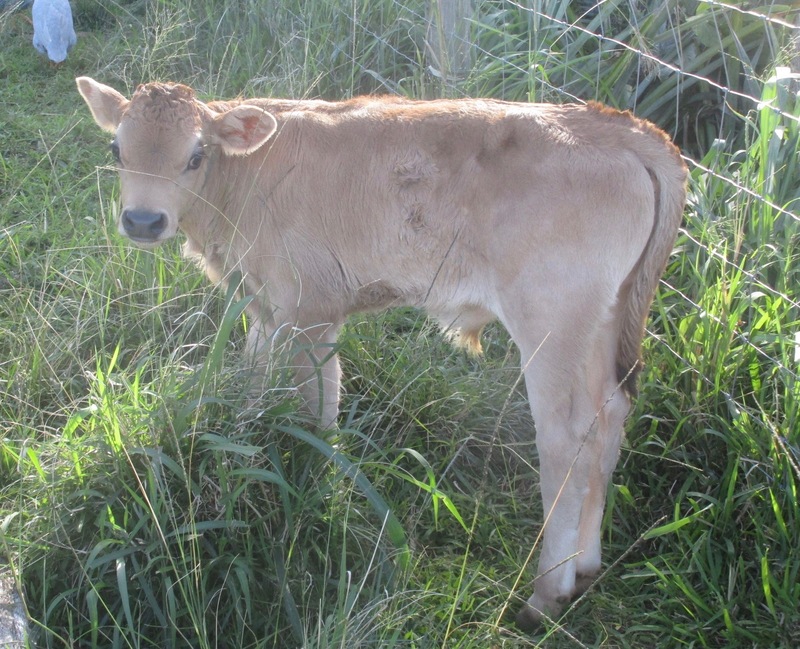 Breeding: 17/64th Jersey, 15/64ths Brown Swiss, 1/8th Normandy, and 3/8th Angus. Rosebud is a very special cow. She was born prematurely, and was unable to stand until she was a week old. For the first month of her life we practically lived in her stall, watching over and caring for her, sometimes curling up in the straw with her for a nap. Rosebud is now full grown and perfectly healthy with 4 daughters of her own, "Clover", "Buttercup", and "Rosemary", "Posy", and a son "Butterprint". Rosebud is extremely tame. We can ride and sit on her and she does not mind at all. 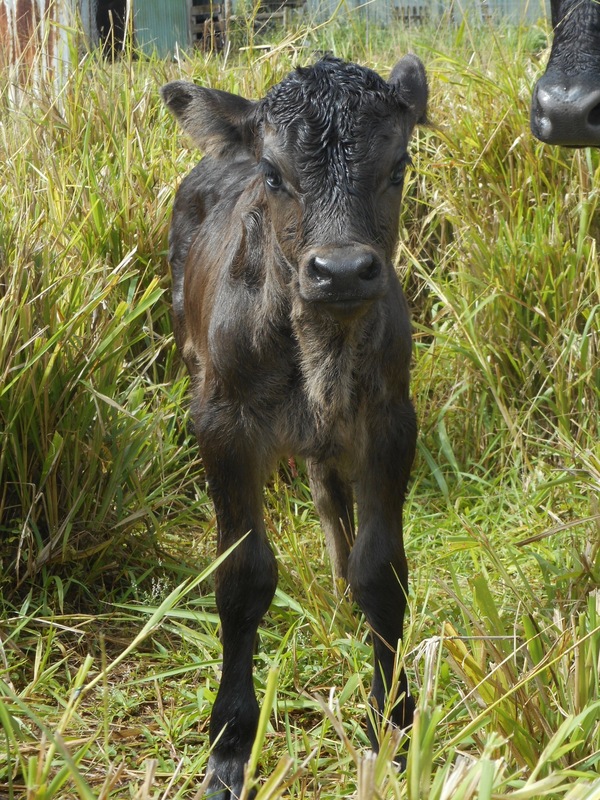 Breeding: 65/128th Jersey, 31/128th Brown Swiss, 1/16th Normandy and 3/16th Angus. 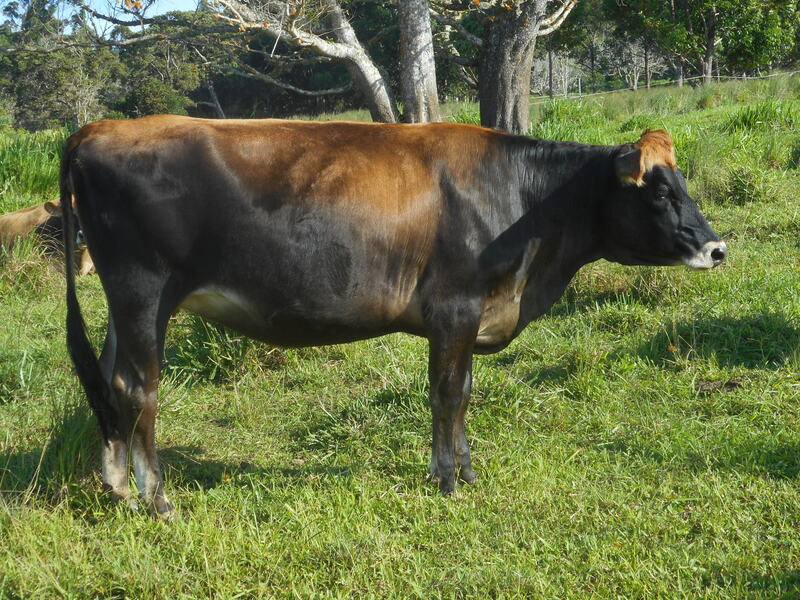 Breeding: 3/4 Jersey Brown Swiss, 1/8th Holstein and 1/8th Angus. Click the button to change the stylesheet.